Preheat oven to 180C. 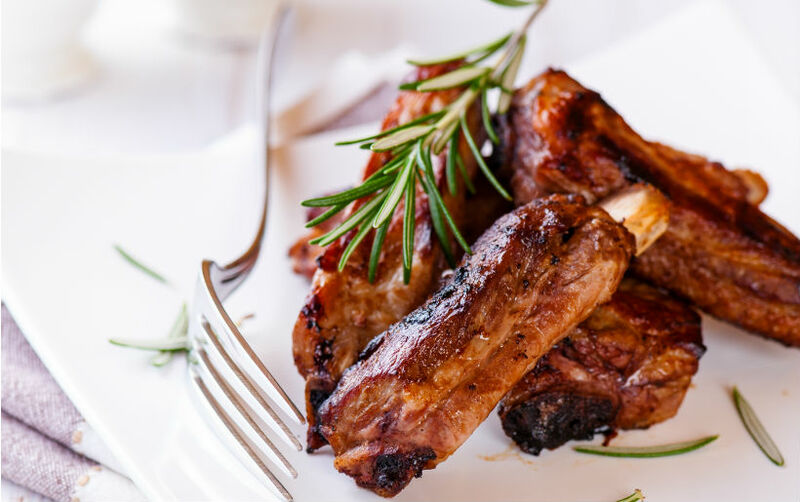 Coat the lamb ribs in the salt, pepper, garlic, rosemary and chili flakes before placing on a roasting tray and roast for 45 minutes to an hour or until the meat pulls away from the bone easily. Cut through the length of the parsnips once, then once again to have 4 long wedges out of each parsnip. Continue doing the same for the rest. Add the parsnips to the pan and fry as you would potato chips. Allow the parsnips to brown and crisp on the outside while getting soft on the inside. Add the golden parsnips to absorbent kitchen paper to absorb any excess oil. While still hot add the salt, pepper, lemon juice, mustard powder, cumin, coriander and chilli.